Welcome back to our monthly “rendez-vous” with event tips and hidden gems identified by the experts of a territory: the locals! For us at Italian Special Occasions DMC, the locals are a constant source of inspiration in the creation of authentic activities and in discovering unique folk festivals. Let’s uncover some amazing traditional July & August events in gems that are located off the beaten track. Mutignano is a tiny village in the province of Teramo in Abruzzo. 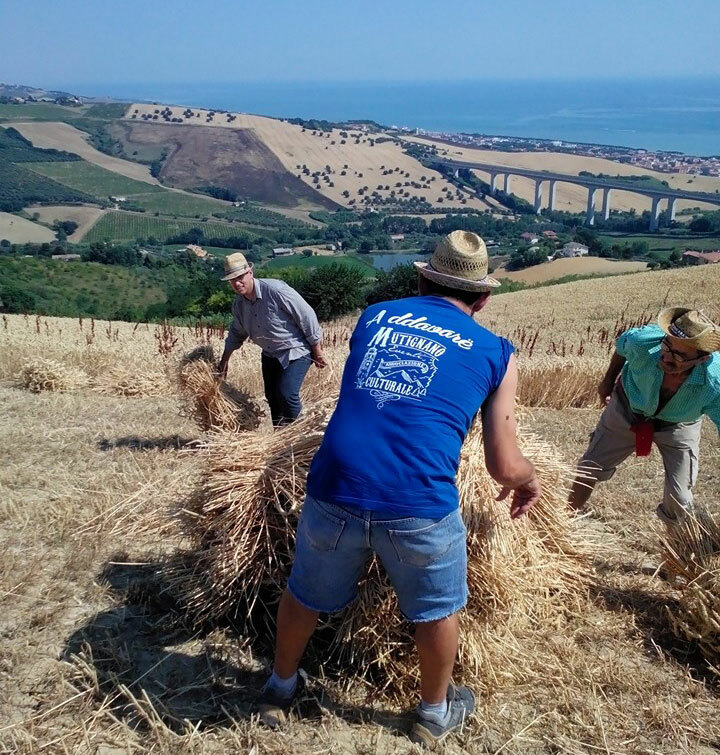 Every year, the local cultural association takes its inhabitants back in time through an event known as Rievocazione delle Trebbiatura, or a commemoration of ancient threshing. Not only are some old farm works reenacted in front of the public, there is also live music and contagious dancing in the middle of the fields, as they happened once upon a time. A true feast for the senses! In fact, for 3 days, you can taste delicious local products at the food stands in Mutignano, learn to play the traditional “tammorra” drum, admire the period trucks on display. There are activities and entertainment for the little ones too, who will surely enjoy petting and riding farm animals. In 2016, the Rievocazione delle Trebbiatura takes place on 15, 16 and 17 July. Something similar occurs in Caselle in Pittari, a town in the province of Salerno in Campania. You can actually sign up for a competition called Palio del Grano, during which local neighborhoods put their manual harvesting skills to the test. But from 10 to 17 July 2016, Caselle di Pittari hosts a lot more than this fun challenge. It becomes an actual laboratory for social innovation, offering an extraordinary rural experience in the Cilento National Park. Throughout this period, participants can learn about ancient harvest methods, as well as the processes behind the production and use of wheat. For example, you get to see how a stone watermill works, and to understand the process of natural bread making with lievito madre (starter). 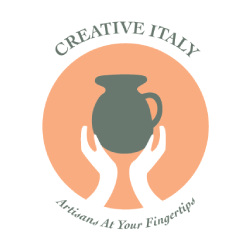 The little known area of southern Tuscany is a treasure trove of hidden gems and emotional events. On 2 August, the seaside village of Porto Santo Stefano organizes a traditional sea procession at night. Locals carry the statue of the local patron from the Church to the harbor, where they place it on a boat. This boat sets off at sea and is followed by the illuminated and decorated boats of the locals. You can watch this beautiful scene from the seafront promenade or directly from a boat with the inhabitants of Porto Santo Stefano! On 15 August, this village also hosts the colorful Palio Marinaro, an ancient sea regatta between local neighborhoods. For more on this event, have a look at “Palio Marinaro: Monte Argentario’s sea tradition”. Throughout July and August, the historic farm of Il Marruchetone organizes different Butteri Shows in the Bio-Agriturismo Corte degli Ulivi in Roselle. The Butteri are cowboys from Maremma, who will thrill you with performances on their horses and with the majestic local breed of cattle. If you want to know more about them, read the following article “Battito Buttero: Tuscany’s wild heartbeat”. This pristine part of Tuscany features some mesmerizing natural landscapes. The WWF centers of Orbetello Lagoon and of Lake Burano organize daily and weekly summer camps for children. The aim is to raise awareness about the environment and its delicate ecosystems, and to allow the young generation to explore the territory through scientific activities, sports, games and manual projects. Southern Italy tends to attract hordes of visitors in the months July and August, thanks to their beautiful beaches and Mediterranean flare. Truthful to our philosophy of Seasonality and promoting off-the-beaten-path destinations, we want to focus on northern Italy, which can offer some attractive summer alternatives between art, culture, lakes and refreshing mountains! If you love history, knights and dames, then you cannot miss the Medieval Festival and Dinner in Somma Lombardo (Varese province in Lombardy). The evocative event takes place in the marvelous park and courts of Castello Visconti di S. Vito. On 23 and 24 July 2016, you can witness the performances of master falconers, archers, fire-eaters, jugglers, knights and artisans. There are also food stands and handcraft markets, a medieval joust, and artisanal workshops for adults and children. Have you ever had dinner in a castle? You can join a lovely banquet inside the castle, and enjoy a delicious medieval menu accompanied by joyous music (reservations required). The entire event is held to remember the victory of Ottone Visconti in the Desio Battle against the Della Torre family in 1277, for the rule of Milan. More medieval extravaganza is on display in Cividale, a town in the province of Udine (Friuli Venezia Giulia). It is situated on the Natisone River, which forms a picturesque ravine. On 19, 20 and 21 August 2016, it hosts the Palio di San Donato, a historical reenactment of life in the second half of the 14th Century, when Patriarch Marquardo von Randeck ruled over the city. Furthermore, the five old local districts engage in an archery competition and a race contest. The first record of Palio di Cividale, which was held in honor of the local patron saint, dates back to 1361! The featured photo of this article is taken from paliodicividale.it. Are you planning a special occasion in Italy? Make it unique and authentic: enjoy an experiential journey by involving all of your senses and by interacting with the locals and their territory! Contact Italian Special Occasions DMC to plan, create and organize your bespoke experience.